It's the Great Pumpkin, Charlie Brown is a television classic that needs no introduction. Your family will watch this Peanuts story together, year after year! 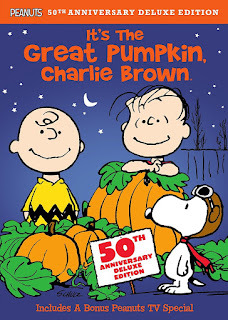 Any gift set then would start with a copy of the television special, like the one shown to the right, which is the 50th Anniversary Deluxe Edition DVD of It's the Great Pumpkin, Charlie Brown, which includes a bonus Peanuts TV Special. Then share the story or maybe you will want to share the story first with the children in your life with a copy of Charles M. Shultz' story in book form. The book shown below is an interactive version with stickers. 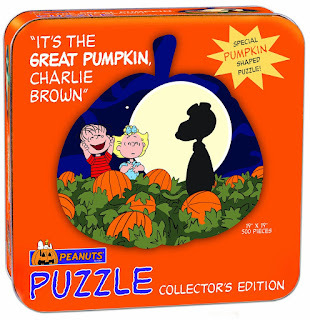 A Charlie Brown themed jigsaw puzzle would be another great way to celebrate this children's classic and the one shown here comes packed nicely in a bright and bold collector's edition tin box. Better by far than your typical cardboard puzzle box. It has 500 pieces and is recommended for individuals aged 6 and up. We love a good puzzle and one themed to the current holiday and a popular television program is double the fun. How about a board game? This game promises family fun for individuals aged 5 and up and comes with sterling Amazon customer reviews. Comments like, "excellent game that captures the feel of the cartoon" and that it "is one of our favorite games to play year round" make it an excellent choice. 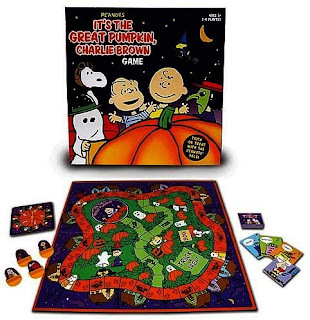 Check out the reviews and read more about this Charlie Brown board game on Amazon here. 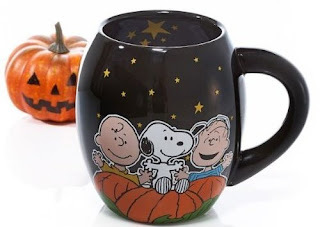 Finally, why not celebrate by drinking your fall and Halloween brews in a Charlie Brown themed coffee mug. 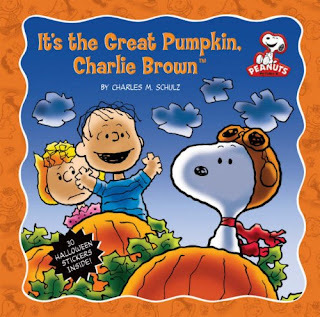 The one shown here is big and bold and reads, "It's the great pumpkin." I do hope that this list gives you a bit of inspiration for your Halloween shopping. Put a couple of these ideas together to make a wonderful Charlie Brown themed gift set! 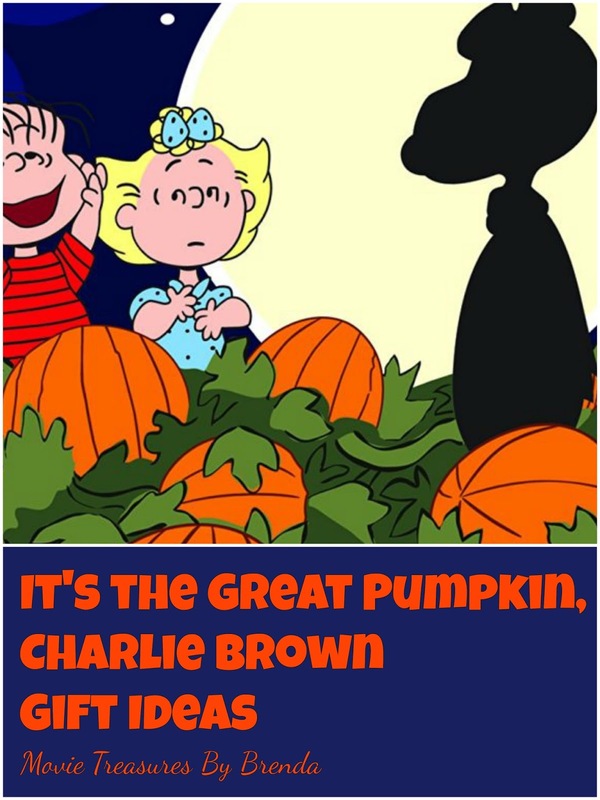 Find more It's The Great Pumpkin Gift Ideas on Amazon. Author's Note: This page originally written elsewhere in 2010.